Product prices and availability are accurate as of 2019-04-12 01:18:16 EDT and are subject to change. Any price and availability information displayed on http://www.amazon.com/ at the time of purchase will apply to the purchase of this product. 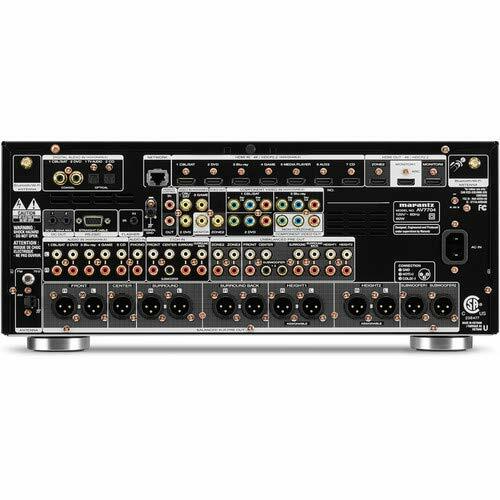 The extremely versatile AV7704 perfectly and expertly handles any kind of high-resolution multichannel audio format. Superb surround sound audio quality from the latest surround formats including Dolby Atmos, DTS:X and Auro-3D. 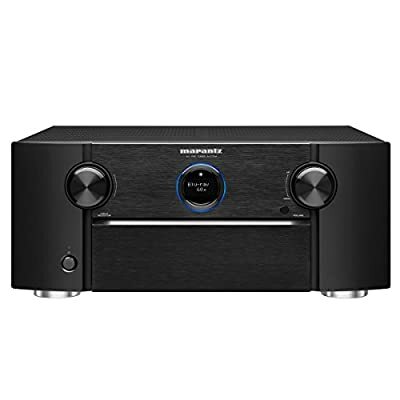 The AV7704 even enhances audio quality by delicately handling all signals via the Marantz's own current feedback HDAMs preamp, before passing them to the high-quality 11.2 channel XLR or 11.2 RCA outputs and separate power amp. Full wireless connectivity is provided by both Wi-Fi and Bluetooth. Apple's Airplay is supported for simple wireless music streaming. 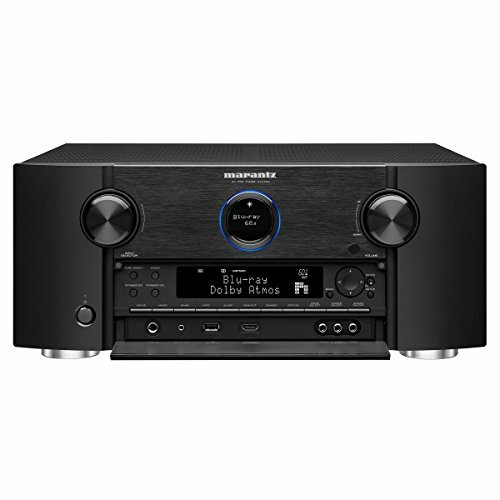 High resolution audio formats and playback are fully supported for incredible fidelity. There is even a Phono MM input - ideal for those precious vinyl's. With built-in HEOS technology, the AV7704 becomes a part of the HEOS wireless multi-room music network that enables you to enjoy your favorite music anywhere and everywhere around your home. You can explore, browse, and play music from your own music library, from online streaming music services, and from thousands of internet radio stations using the free HEOS app. Prepared for the future, the AV7704 features an advanced video section that's fully compatible with the latest HDMI 2.0a and HDCP 2.2 specifications on all 8 HDMI inputs. With 4K Ultra HD 60Hz video, 4:4:4 Pure Color sub-sampling, High Dynamic Range (HDR), 21:9 video, 3D, BT.2020, Dolby Vision and HLG (Hybrid Log Gamma) pass-through support on every input, the AV7704 is ready for 4K Ultra HD Blu-ray disc players, set-top boxes and other 4K Ultra HD sources. eARC (Enhanced Audio Return Channel) support via firmware update. 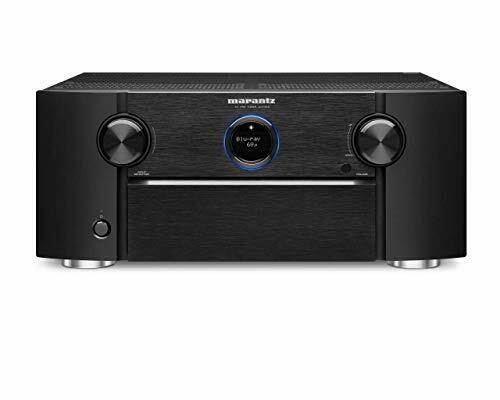 In addition, the AV7704 can upscale standard and high definition analog and digital video content to 4K Ultra HD, breathing new life into your favorite legacy sources. 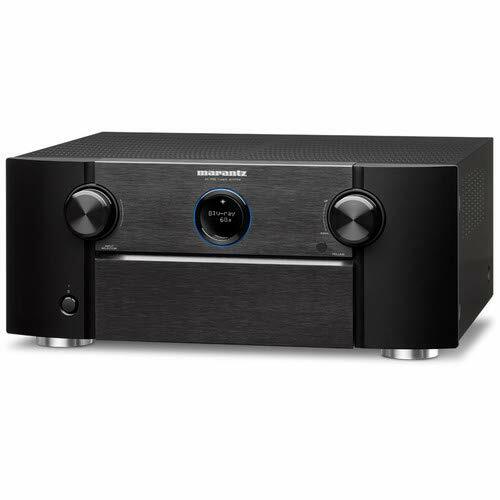 Marantz MM-series power amplifier lineup adds perfection to your system. It's all there, just waiting to perform.